This write up will give home staging tips and explain why home staging should be considered before going to market. Home staging refers to the technique of decorating to showcase a private residence’s best assets in order to impress different potential buyers and make it sell quickly to the highest bidder. Home staging goes beyond cleaning, painting, de-cluttering and sorting out minor repairs and replacements. Home stagers or home stylers specialise in showing off the best parts of your home by arranging furniture and accessories to accentuate the rooms so it can emotionally appeal to a variety of buyers. We all know that first impressions count, particularly in today’s digital world, so their help is very valuable whether your home is currently furnished or unfurnished. Their styling experience could help you declutter your home, add a few essential highlights like cushions, carpets or bed throws to brighten up your current décor – or showcase the best parts of empty rooms with furniture and accessories to appeal to buyers. Professional photographs of the styled home will get your property noticed by potential buyers. If they like what they see, they’ll arrange to view the property which could lead to an offer. When your home is new on the market it stands the best chance of receiving an offer. In general – the quicker you get an offer, the higher your offered price would be. Home staging, your property will with no doubt have its best possible appearance and therefore suit the needs of many potential buyers looking for a home to buy. Staging will also enhance your confidence to showcase your property to prospective buyers. Buying a home is mostly an emotional choice, so styling could persuade buyers to put in offers immediately as they can imagine themselves living there. 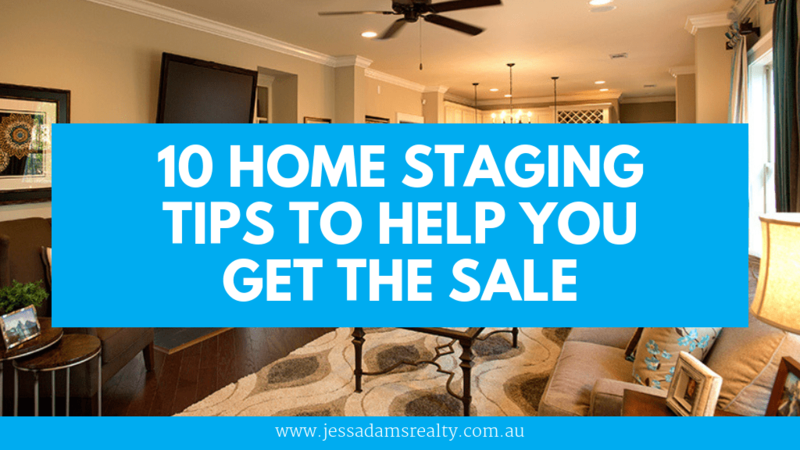 Staging a home shows that you are a serious seller, willing to spend money to create the best impression to attract as many buyers as possible. The idea is to get buyers excited to view and put in an offer before someone else does. Maximizing the interior space will require you to place unused/excess furniture and accessories in your storage unit. This will make the rooms look larger and hence showcase their purpose. Brighten your home’s interior space by removing window screens, opening all the shades, and washing the windows. You should also make sure all the light fittings are clean and in good working order. If possible, apply a fresh coat of paint to your walls, preferably in a neutral, popular colour. Accent walls could put buyers off, so keep all walls neutral throughout the home. This will ensure that your home will look a lot more modern and appealing to buyers. Get rid of anything that you haven’t been using and don’t intend to take to your new destination before entering the market. Sell or donate the items to charity. It is vital to clear clutter off dressers and countertops, file paperwork and to organise cabinets and closets. Buyers do want to look inside cupboards to ensure it meets their needs, so be prepared. If you have a small cupboard or walk in robes in your bedrooms, ensure that you remove half of the clutter so the space appears bigger. Ensure that your home is sparkly clean – inside and out. Give extra attention to all the little things that you would normally overlook in a general clean. Make a list of every room or area and note down what needs to be done. Work through and tick off the boxes as you go to ensure that you don’t miss anything. If you cannot do it all yourself, ask friends for help or contract a professional cleaner. Note that your kitchen and bathrooms need extra attention as these areas can be a deal breaker if not spotless and fresh. Ensure your garden is lush and green and filled with colour. Get rid of all cobwebs and make your outdoor entertainment areas as attractive as possible. De-personalise your home by removing family heirlooms, personal photos and even some paintings that may offend. Your taste may not be the same as the buyers’ and the whole idea is to ensure that they can visualise themselves in the space adequately enough to put in an offer. Get rid of any traces of litter boxes and pet bedding, mildew, old cooking smells and cigarette smoke first. This is very important and is often one of the biggest negatives encountered by prospective buyers. If you are going to use an air freshener, ensure that the smell is subtle, natural and fresh and not overwhelming. Incense is not a good idea as it can be overpowering and many people are allergic to it. A simple drop of vanilla in a heated oven should do the job nicely. If there are any fixtures of fittings that you would like to exclude from the sale, remove and replace them before going to market. Ensure that whatever the buyers see when viewing, is exactly what they’ll get. Tackle the tiny holes, scratches and marks which might signal neglect. Repair what needs to be repaired before inviting potential buyers through. Most buyers are not interested in spending a lot of time and money on repairs when buying a home. An immaculate home will get an offer sooner and at a higher price. Once buyers notice your property advert and are interested, their first reaction would normally be to drive past the property. Ensure that your yard is immaculate and attractive. Trim shrubs, mulch your garden beds and add colour to your garden and patio with pots and plants. If there are oil stains on your driveway, remove it. Ensure your curb appeal is fresh and inviting and makes your home look loved. First impression is truly everything. If they’re not impressed with your curb appeal, you’ve lost the chance. If you are interested in selling or buying property in the Albany or Denmark area, consider working with experienced Albany Real Estate Agents or Denmark Real Estate Agents from Jess Adams @realty. Please fill in the form below or give us a call to discuss your needs.